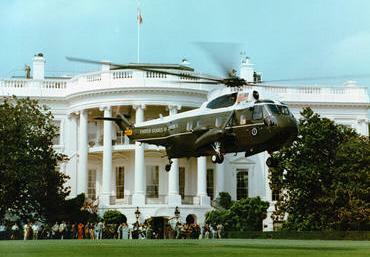 September 18, 2012 – Northrop Grumman and AgustaWestland announced that they have signed a comprehensive teaming agreement to respond to anticipated requests for both the new U.S. Air Force Combat Rescue Helicopter and the U.S. Navy's recently announced program to develop a new "Marine One" presidential helicopter. A U.S.-built helicopter based on the AW101 platform will be offered by Northrop Grumman to meet these requirements. The agreement pairs Northrop Grumman's proven management and systems integration expertise with AgustaWestland's world-renowned rotorcraft manufacturing and advanced helicopter design and development. The AW101 system offers both programs an optimum mix of capability to successfully bring the best possible new combat rescue helicopter to the Air Force and the best possible new presidential Helicopter to the Navy-Marine Corps team. Northrop Grumman and AgustaWestland are partnering to offer affordable systems that are total solutions without compromise. These will be proven, advanced rotorcraft, built in the United States and fully integrated with the most advanced mission suites, integrated onboard sensors and communications systems available today. These systems will meet the future needs of both programs. The AW101 system is a mature, reliable, highly capable and combat-proven multimission aircraft that affordably meets the needs of the nation's combat search and rescue forces and will serve the nation's presidents far into the future.